32 bars - own tune. 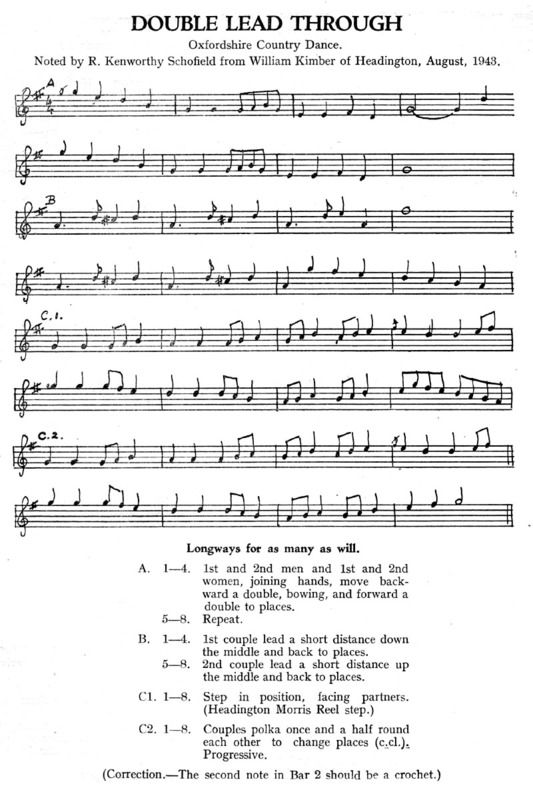 Most people know the tune as a country dance tune from the playing of William Kimber of Headington Quarry, but Hugh Rippon apparently provided this extra information:"Originally a French tune, written by Charles Lecoq and included in his three act opéra-comique 'La fille de Madame Angot' which was first produced in Brussels at the Théâtre des Fantaisies-Parisiennes on the 4 December 1872." It is common to turn alone and lead back in B, but there is nothing to indicate a turn in any of the notes. So, basically, rant! Or do any other fancy footwork that you like! 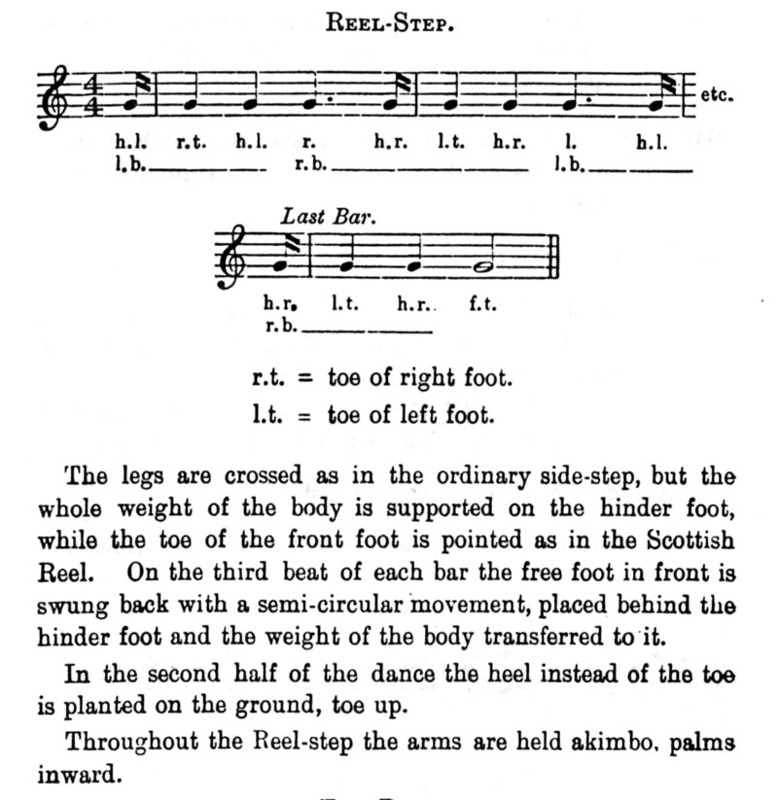 The Community Dance Manual version has the lines going forward & back, rather than backward and forward. Another version was collected earlier by Misses Daking & Marshall in Adderbury in 1914.